Home Technology Information How to Create & Verify PayPal Account in India Easily? How to Create & Verify PayPal Account in India Easily? If you work online from India companies of Abroad cannot send money directly to your Bank Account and so they use PayPal. Once the money has been sent to your PayPal Account it will be credited to your Bank Account in India. To make a Fully Verified PayPal make sure you have a PAN Card and a Bank Account which matches with your name on the PAN Card. 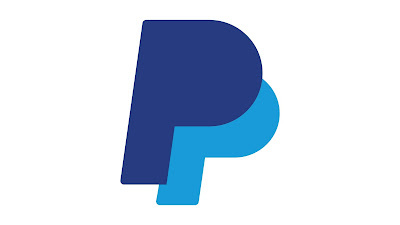 How can you Create our PayPal Account Easily? Let's create a new account by going www.paypal.com and clicking on the Signup button. Next, click the Get Started button for Individuals and then Fill up the form correctly with your proper details. Make sure it matches your name in your Bank Account and don't forget to enter your First and Last name exactly as it appears on your PAN Card. Remember to uncheck the tick mark and click on Agree and Create Account Button. Enter the code shown in the image and click on Continue. Now in the next page click on Skip This Step and Go to your Account. Your PayPal Account is now ready! How to Verify our PayPal Account? Once you have created your New PayPal Account The next step is to Verify it so that you can receive payments. To Verify our PayPal we need to complete some few steps. First, click on complete your tasks link in My Account section. Then click on the first Start button enter your PAN number and click Submit. Now go back to the task board and select the next step. Open a new tab and Login to your email account and you can see one email came from PayPal, open the mail and click on the Activation Link. Enter your password and choose your Security questions and answers and then click on Submit button and on the next page Skip this Step once again. In case you haven't received any verification email in your inbox then you can also request a confirmation number to be sent to your email address. Go back to the taskboard and then in the section of Provide Purpose Code click on the Start button. Select the Purpose Code based on the nature of your work and then click Save. Once again go back to the taskboard and then in the section of Add Bank Account click on the Start button. Enter your Bank Account number and IFSC code properly to get your payments. After you properly filled your Bank Account details click on Review and then Submit. After doing this, PayPal will make Two small deposits to your Bank Account. So wait for 2-3 days and then check your Bank Statement. Once you find the Two small deposits credit to your Bank Account. Login to PayPal and under Profile click on Edit Bank Account then select Confirm. Now enter the same values which were credited to your bank account and then click on Confirm button. Now you have successfully linked your Bank to your PayPal Account. From now on all of your earnings which are sent to your PayPal account will automatically be credited to your Bank account. Hurrah! your PayPal account is now Verified.